This blue aramid arc preventive fire proof coveralls made of 260gsm aramid arc preventive fire proof fabric, and can meet EN ISO 11612, EN 61482-1-1, NFPA2112, NFPA70E and other standards. 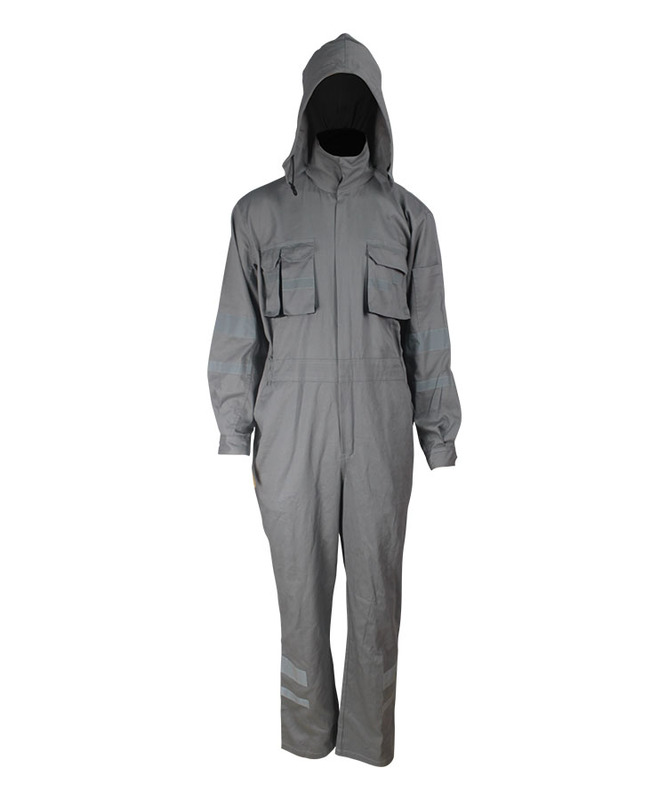 This aramid arc preventive fire proof coveralls has the effect of self-extinguishing with no droplets, soft touching, good strength, good wear resistant property. And it has good breathability and suitable used in hot and humid conditions, it can resist more than 100 times washing. 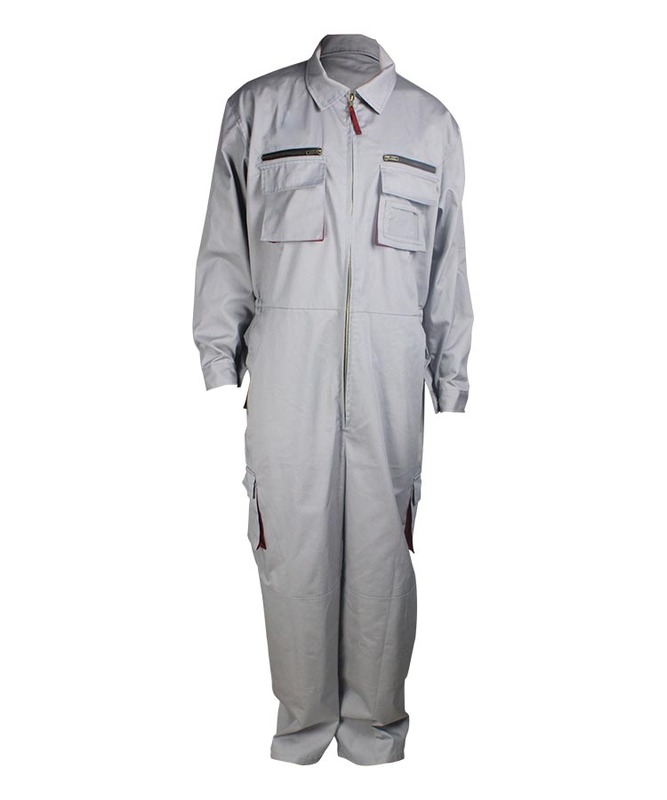 This aramid arc preventive fire proof coveralls also has good elastic both under dry and wet condition, stable dimension, small shrinkage, not easy to fold, easy to wash, fast drying. 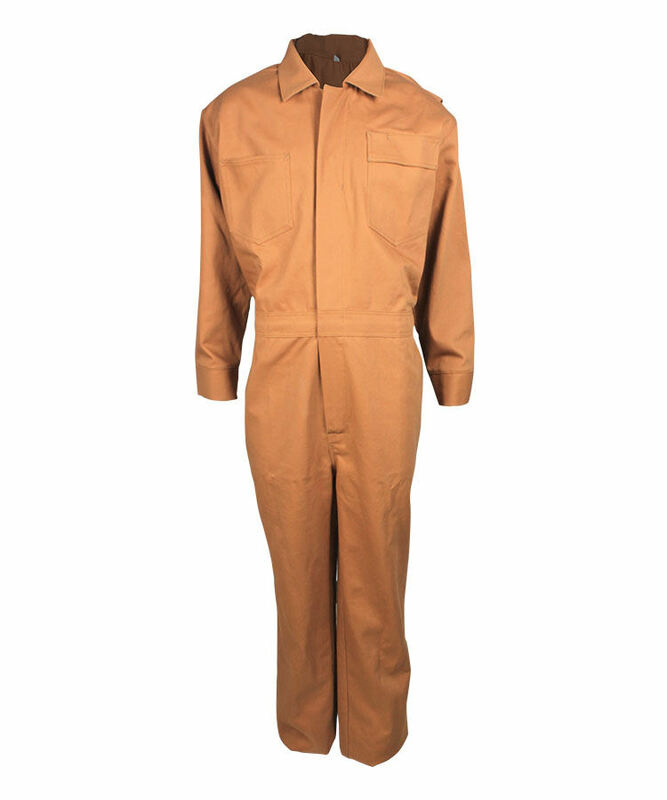 This aramid arc preventive fire proof coveralls mainly used in oil & gas and other industry field. Two pocket with flap on the chest, closed by snap button, which can avoid the chippings splash into the pocket and harm the skin. 5# two-way front metal zipper for front opening to the collar, with belt on waistline, under collar and waistline closed by snap button, improving the safety performance of the blue aramid arc preventive fire proof coveralls greatly. 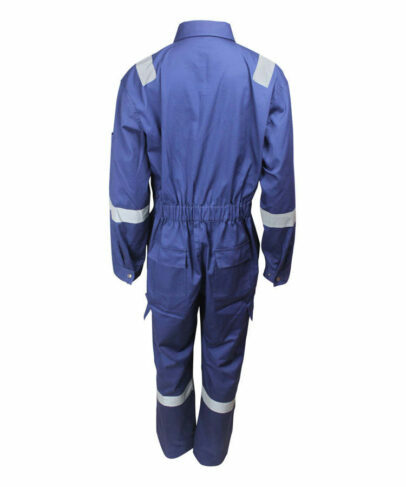 Elastic band adjust the waistline, to makes the blue aramid arc preventive fire proof coveralls more comfortable. Two patch pockets with flag on the hip, closed by snap button. Two slant pockets on the pants, white color pocket fabric, meet the utilitarian function. Slit cuffs, two cuffs closed by snap button, which can adjust cuff size to facilitate the wearer turn-up his cuff. 5cm width reflective tape on the shoulder, sleeve and legs, double stitching makes the reflective tape stronger and more beautiful. 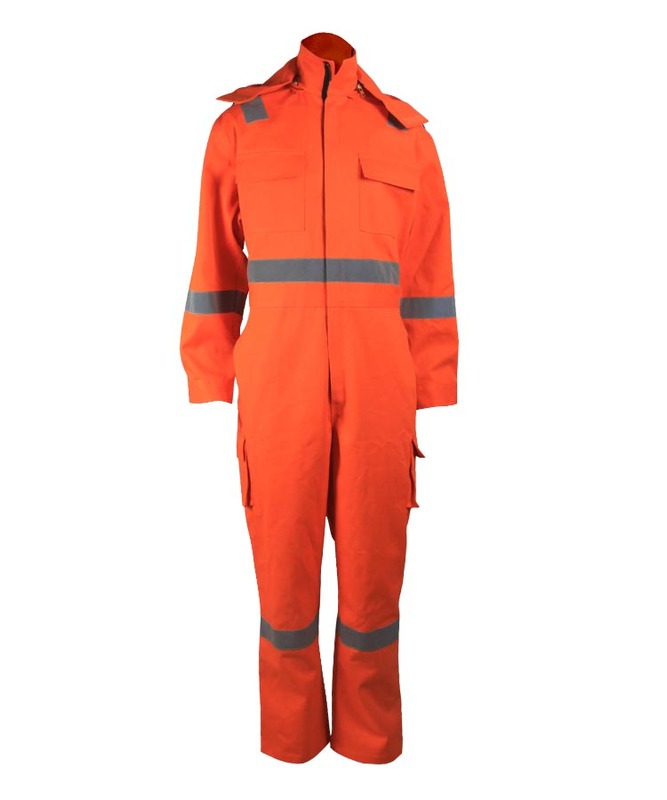 The collar of the shirt makes the blue aramid arc preventive fire proof coveralls fashion. The pen loop on the left pocket flat can insert the pen. Two leg patch pockets with flat with snap button closure, increasing the storage space greatly. One pocket on the left sleeve reflective tape, convenient for storage. 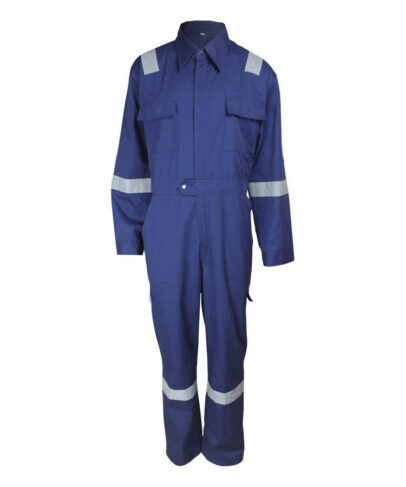 All pockets and force bearing points of this blue aramid arc preventive fire proof coveralls are fixed by bar tacks to increase the coverall durability. 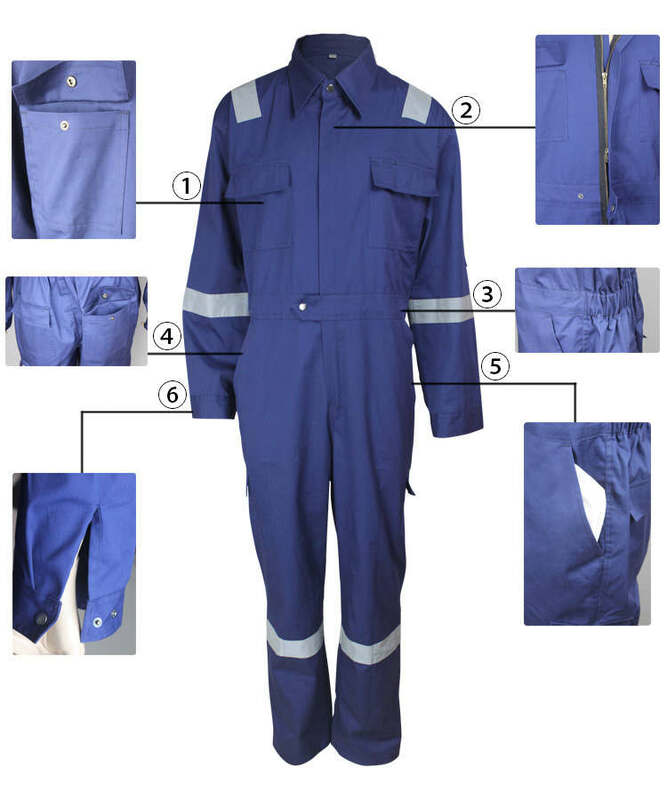 The collar of jacket, closure, shoulder, pocket, cuff, waistline, the pants outside seam, front rise and back rise all are threaded by double stitch to makes the blue aramid arc preventive fire proof coveralls stronger.